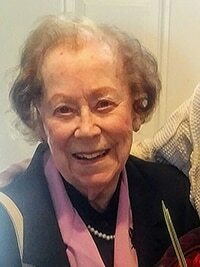 Engelina Catherina Pletcher - Edmonton's Burial & Cremation Professionals | Trinity Funeral Home Ltd.
On Friday October 26, 2018, Engelina passed away at age 92. She is survived by her loving husband of 62 years Jim, four children Allan, Grace (Martin), Gary, Carolin (Mike) eight grandchildren Mark, Keith, Patricia, Chris (Cassy), Jesse, Jacklin, Heather and Harrison; one great-grandchild Timothy. She was predeceased by her sisters Johanna and Lydia. Friday, November 9, 2018 at 1:00 p.m.